While there was a spree of mobiles that were announced as soon as we stepped into 2019, there is one mobile which had a pretty quiet launch. Can you guess which one is that? If you are unable to guess, then let us provide the answer to you. We are talking about Moto G7 Power. Some of you might get surprised, and ask when was this launched? Well, we don’t blame you Moto G7 Power was quietly launched, even though Moto G6 has a good fan base. We don’t know what is the reason. We guess this confusion can be cleared only by Motorola. However, since it is launched, we will do a brief review of this phone, and will definitely help you if you are planning to buy this phone. Moto G7 Power is already available on Flipkart from 15th February. This phone is part of the Moto G7 family. The phone is economically priced at 13,999, which is a good deal considering the brand Moto. One of the key highlights of this phone is its battery life which goes with its name “Super”. The company has claimed during the launch that Moto G7 Super will have a battery life of 60 hours, only with a single charge. However, the company didn’t specify what kind of usage the battery life will be 60 hours. For example, with extensive gaming along with some other activities, will it be still 60 hours? Well, we guess the talk time might be 60 hours. At this point in time, we could not validate this claim, and we expect that it will be validated by the users who have bought this phone. The phone also with TurboPower, which is the fast charging technology from Motorola. The phone has got a 6.20-inch display screen. We would say that the screen is quite big, and clearly, the phone is placed across the customer segment, who prefer large screens to play games or watch videos. Modern-day smartphone users love large screens, as their phone doubles up as an entertainment unit. Hence, we would say that Motorola perfectly hits this segment and it meant for the users who want large screens. Also, the phone comes with Corning Gorilla Glass 3. That means the screen of the phone has got its own protection. This is really good that Motorola has provided screen protection even at a moderate price. The PPI (Pixel Per Inch) for the phone is 403, which will ensure that even with large screen sizes, users will get a vibrant and detailed display. We know that anything above 300 is really good, and works well. Well, PPI of 403 is actually excellent. We can say that the display is not going to disappoint you. It is equally complemented with a screen resolution of “720x 1520” pixels. The screen will be HD+, with LTPS LCD panel. A word of caution here, LTPS LCD panel is known to provide the best resolution. However, it also deteriorates faster than the other LCD panels, which could be a quality issue. This phone has also got Moto Display, which allows the user to view notifications at a single glance. The phone is powered with an octa-core QUALCOMM Snapdragon 632 SoC, along with 4GB RAM. With an octa-core processor, it is expected that the phone will have lesser lags and optimized performance. It has got Adreno 506 GPU, which ensures the best graphics for the phone. Adreno 506 is from Qualcomm and is known for its impressive graphics performance. Probably, the best for the mid-range phones. One of the key features of this GPU is it supports Universal Bandwidth Compression (UBWC), which actually saves the memory bandwidth. So, if you want to play a game or run an application which requires a good amount of memory, then Adreno 506 GPU will optimize the memory usage through UBWC and will ensure smooth performance even in those scenarios where the memory requirement is extremely high. Moto G7 super has 64 GB inbuilt storage which is good enough for day to day usage. However, the storage is expandable through micro SD card up to 512 GB. This is a dual sim phone, where two slots are there and each slot can accommodate one nano sim. The Motor G7 Power runs on Android 9 Pie, which is the latest Android operating system. As we mentioned, in the beginning, the phone has got a battery life of 60 hours, so you might be wondering what is the battery capacity of this phone? The phone actually comes with a 5000mAh battery, which supports 15W TurboPower fast charging. The battery capacity is quite impressive, and with Turbocharging we can expect that the complete battery can be charged up within an hour. Turbocharging is definitely one of the premium features which Motorola offers on its phones. Moto G7 power supports different connectivity options. It is a 4G LTE phone. It will support wireless connectivity with Wi-Fi 802.11 a/b/g/n along with Bluetooth v4.2. The phone will have GPS/A-GPS along with USB type-C port and a 3.5 mm audio port. It is going to have some of the basic sensors, that includes ambient light, accelerometer, magnetometer and proximity sensor. The Moto G7 Power comes with a 12MP rear camera with F/2.0 lens. However, there is no secondary sensor for the camera. But you can still tweak the camera app settings to click some best pictures. The camera comes with LED flash, phase detection autofocus, and Auto HDR. While you can also record 4K videos on this phone at 30 frames per second. It has got an 8MP front camera, with fixed focus and F/2.2 aperture. All we can say that the camera is the real dampener for Moto G7 Power, and at the same price range there are better camera phones available in the market. 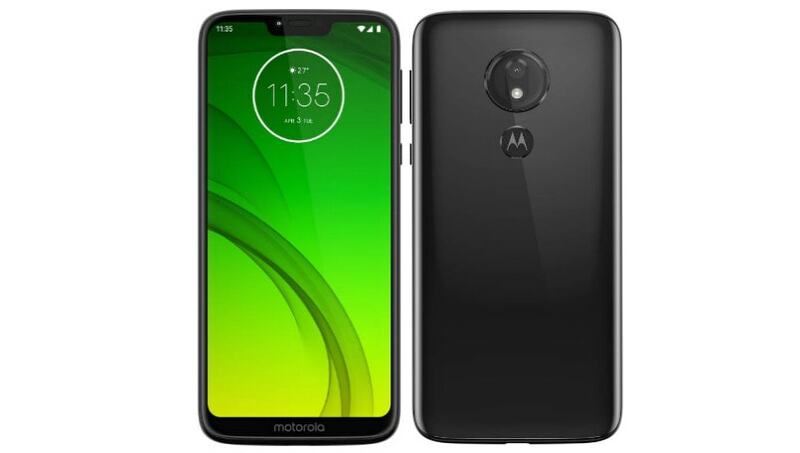 Moto G7 Super is already being sold on Flipkart, and you can get the best deal by checking new mobile offers online. Compare mobile deals, and select the best deal for yourself.